Six Christian suspects arrested in connection with the murder of the leader of Jaffa (Yafo) Christian community, Gabriel Cadis. Six suspects have been arrested in connection with the murder of the leader of the Christian community in Jaffa (Yafo), Gabriel Cadis. The chairman of the Jaffa Orthodox Church Association had won election to his post for a third time, just three weeks ago. He was stabbed to death Friday night during a march on Yefet Street that was held to mark the Orthodox Christmas, which is celebrated on January 7. According to eyewitness reports, an attacker dressed up as Santa Claus stabbed Cadis and fled. Cadis was rushed to Woflson Hospital in Holon, where he died of his wounds shortly after. A funeral procession was held and the Christian leader was laid to rest on Saturday afternoon. Police from the Central Investigations Unit are examining footage from security cameras in the area as part of the investigation. 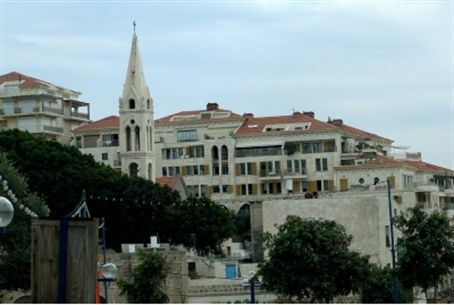 All six suspects who were arrested Saturday are members of Jaffa's Christian community.